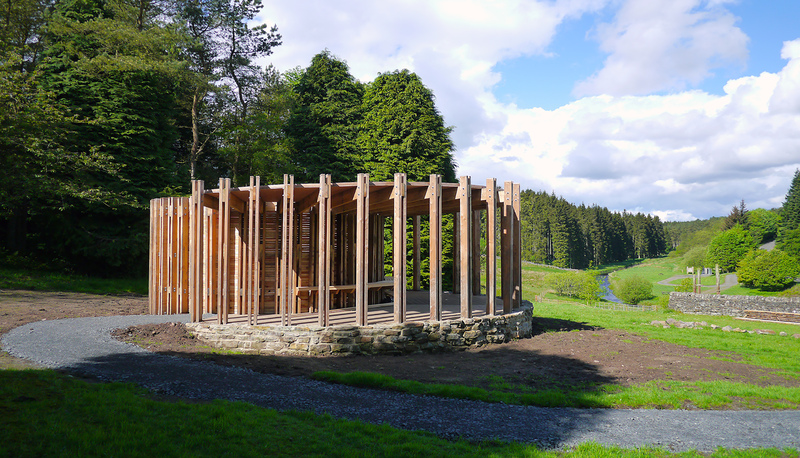 artnership with Kielder Art and Architecture and the local community. 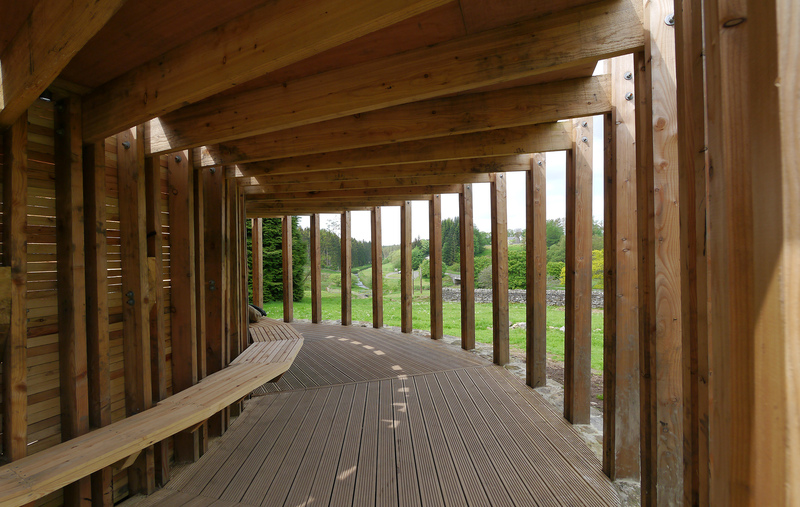 The Pavilion project evolved from the ambition of the village to attract more tourists to the area and the project celebrates the Gold Tier Dark Sky award which was given to the Northumberland National Park in 2014. Ideas for the structure were generated through a series of community consultation and design events and the local community were actively involved in the process of construction. 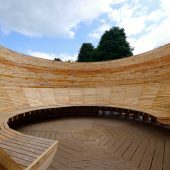 The form of the pavilion is based on a spiral and it provides a sheltered belvedere for nature watching as well as a circular open courtyard with seating where groups can gather to view and discuss the night sky. 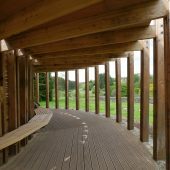 The pavilion, which is set in a newly planted wildflower meadow has been constructed of locally sourced, reused or recycled materials and it is topped with a sedum roof to increase biodiversity. It has been used regularly for amateur stargazing and dark sky education events since it’s completion. 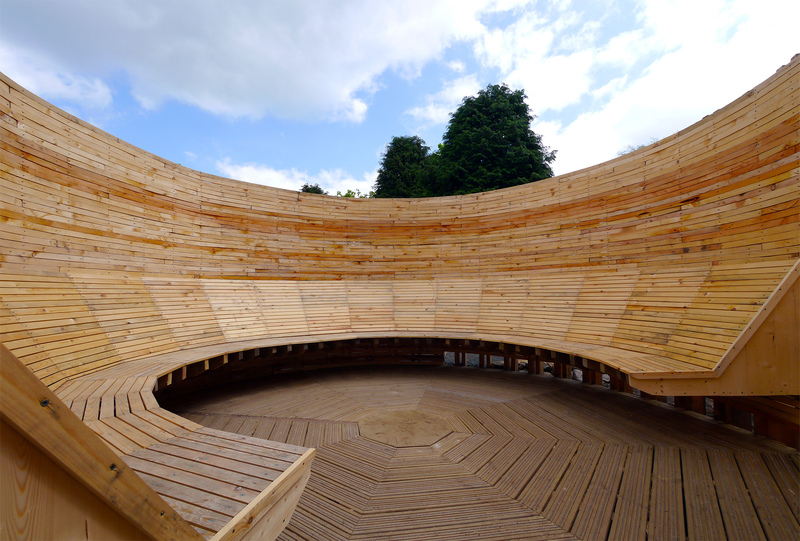 Research Question: ‘Testing Ground’ is an ongoing research and teaching project established in 2013 by the School of Architecture, Planning & Landscape, Newcastle University and the Kielder Art & Architecture programme. Testing Ground is seeking a long-term understanding of small-scale, locally generated variants of built environment sustainability and is aiming to ground live build pedagogy within a consideration of the broader ecology of the building process, by using locally sourced materials, or reusing or recycling locally available resources where possible. Testing Ground is also aiming to explore social sustainability, by working directly with communities in participatory ways, using local expertise or providing local training opportunities whilst also adding a direct social and economic benefit to remote rural communities. 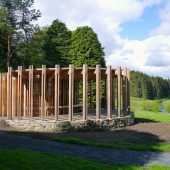 Testing Ground is run as a ‘Linked Research’ module under the supervision of Professor Graham Farmer and Peter Sharpe, Curator of the Kielder Art and Architecture Programme.